The two USMNT starters will miss the Copa America semifinals, U.S. Soccer confirmed Sunday night. U.S. Soccer's appeals to cards given to Jermaine Jones and Bobby Wood were dismissed, meaning the two players who have started all four games of Copa America will be ineligible for Tuesday's semifinal against Argentina. The two incidents happened consecutively in the quarterfinal win over Ecuador. Jones was given a red card for appearing to make contact with the face of Ecuador's Michael Arroyo, while Wood was given a a yellow card–his second of the tournament–for an incident that happened while Jones was still on the field. The referees allowed play to restart before Jones was off, and that's when Wood committed his infraction. "The protest has a certain reason, because it’s obvious," U.S. manager Jurgen Klinsmann told reporters. "[The referee] let the game go and Jermaine was still 30 yards on the field walking, you know, so it was not played yet. It should never have given anything or [probably should have said], ‘Guys, relax a second and wait a second until the player moves off the field and then we take it from there.’ So, but that’s up to them now. They can judge that. We are fully prepared for Argentina." STRAUS: How will USMNT replace its suspended starters? 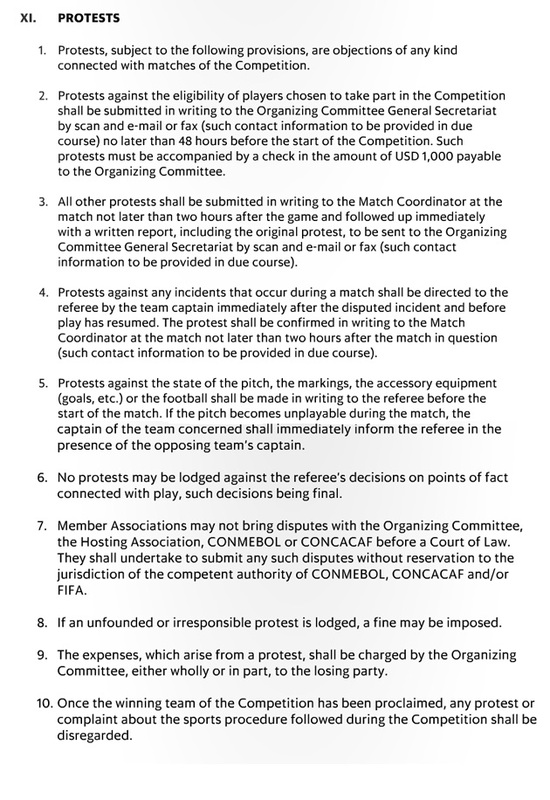 Alejandro Bedoya will also be suspended for the Argentina game after picking up his second yellow of the tournament against Ecuador, but that card was not appealed. As for Argentina, Nicolas Gaitain will be suspended for picking up a pair of cards in La Albiceleste's four matches.